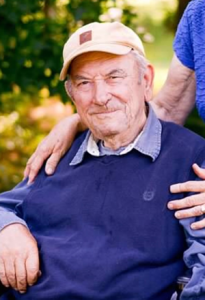 Dimitrios “Jim” G. Dourdounas, 83, a long-time resident of Winchester died on Tuesday, January 29, 2019 at Dartmouth-Hitchcock Medical Center in Keene. He passed peacefully while resting after a period of declining health in the presence of his loving family. Dimitrios was born the son of the late Angelika (Georgiopolis) and George Dourdounas on July 17, 1935 in Kalamata, Greece. He was educated in Greece where he attended local school. After school Jim enlisted in the Greek Airforce where he worked as a supply assistant. He completed his time of service and immigrated to the United States where he settled in Flushing. NY. On March 14, 1964 he exchanged vows with Helen M. Beardsley at the St. Nicholas Greek Orthodox Church in Flushing, NY. After marriage they moved to Randolph, Massachusetts and later to Winchester. He worked as chef and owner of several Massachusetts restaurants before coming to Winchester and establishing Ware Mt. Farm and Greenhouses as well as Dimitrios’ Wholesale Produce. Jim was a member of the Greek Orthodox Church in Keene for many years. Jim enjoyed working on and restoring antique tractors and automobiles. Another passion he enjoyed was his vegetable and flower gardens. In recent years he became “official greeter” at his son’s driving range, Willy D’s Driving Range in Winchester. The joy of his life were his granddaughters Mia and Faye who he loved dearly. Mr. Dourdounas is survived by his wife of fifty-five years, Helen M. Dourdounas of Winchester. 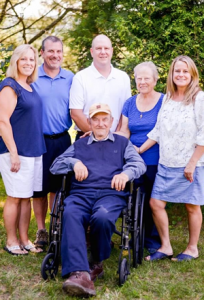 His children: George Dourdounas and his wife, Raylene of Winchester, Angela Adams and her husband, Ron of S.C. Athena Seger and her significant other, Troy Wilkes of Chesterfield and William Dourdounas and his wife, Erin of Swanzey. 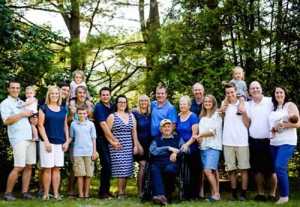 His grandchildren: Melanie Dourdounas of Swanzey, Nicholas Adams of S.C., Pierce Adams of S.C.,Trenton Adams of S.C., Dimitri Seger of Chesterfield, Mia Dourdounas of Swanzey and Faye Dourdounas of Swanzey. His great grandchildren: Alissa Adams of S.C. and Payton Adams of S.C. A special nephew who he was especially close to, Kostas Dourdounas of Athens, Greece. Jim’s sister, Constantine “Nina” Anagnostopoulou of Athens, Greece. In addition, he leaves cousins, nieces, nephews, extended family and friends. Jim is pre-deceased by his siblings: Helen Dourdounas, Kostantinos Dourdounas and Fotios Dourdounas.